We’re going to start this Aspire K4 Review by pointing out the starter kit contains everything you will need to start vaping minus the juice. As far as its appearance goes, the Aspire K4 looks pretty good. It’s available in a choice of black or pink and has an attractive carbon-fibre exterior. Getting a little more technical now, it has four air slots and the micro USB charging port is located at the base of the unit. When assembled, the device measures 22mm by 85mm. Unfortunately, Aspire has not been kind enough to provide the Aspire K4 with a variable wattage control, but it does boast some nice safety features including protection against overcharging and short circuits. Although it could be seen as a good entry model for people who are ditching their cigarettes in favour of a safer option, in reality it may not be best beginner’s vaping device. The Aspire K4 offers a direct to lung vaping experience, people who have just started vaping might be more comfortable with a mouth to lung vaporizer that allows them draw in the vapour in via their mouths in a manner that is similar to smoking a cigarette. Aspire is a Chinese brand that was established in 2013. It’s a reputable company with a focus on producing quality vaporizers and vaping accessories. So, although some of the Chinese-built vaporizers at the lower end of market have a reputation of being cheap and nasty, it’s important to be aware this is certainly not the case with Aspire. Aspire K4 customer reviews are mixed. Some customers love it, others complain about technical problems or say they found the unit was damaged upon receipt. How Much Does an Aspire K4 Cost and is it Worth the Money? 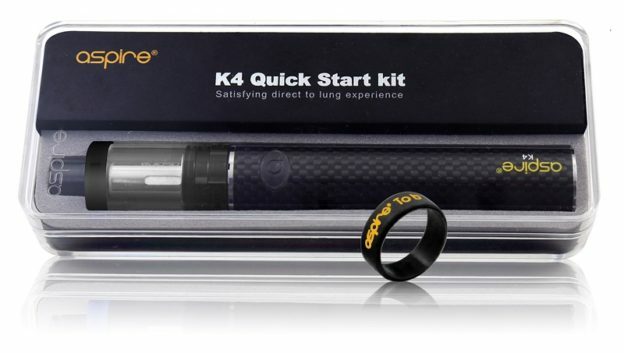 The Aspire K4 starter usually retails for £32 – £40, depending on which supplier you choose. It’s not the cheapest vaporizer on the market, but nor is it the most expensive. Even if you pay the top-dollar price, it would be difficult to find a reason to complain about the cost. Especially if you are just making the switch from smoking cigarettes. The average ex-smoker should find the Aspire K4 has paid for itself in less than a week. It’s also worth noting, the Aspire K4 starter kit is listed on the Amazon website as an “Amazon’s Choice” product. Amazon only awards this title to products that are highly rated and reasonably-priced. So, is the Aspire K4 worth the money? All things considered, we can only say yes. The best place to buy the Aspire K4 will largely depend on your personal circumstances. If you are lucky enough to live near a reputable vaping shop, that may be the best place to go. However, if you are going to buy an Aspire K4 online, Amazon usually offer the best prices. In fact, when we did some price comparisons for this Aspire K4 review, it was possible to make an £8 saving by purchasing K4 starter kit from Amazon instead of from the manufacturer’s official website. The Aspire K4 is quite an attractive-looking vaping device, the starter kit even contains a spare coil, and the price of the kit is not overly high. 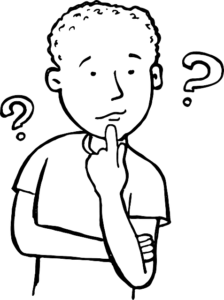 Customers also have the benefit of knowing they are dealing with a reputable company. Admittedly, some customer reviews suggest there may be the occasional rogue unit but, when it comes to quality control, Aspire’s batting average is pretty good. Overall, although the Aspire K4 is not the biggest or baddest option out there if you want to spend your days blowing some serious clouds, it is a direct to lung vaporizer and it does pack quite a bit of power. However, as already mentioned earlier on in this Aspire K4 review, it’s probably not the ideal choice for anyone who is primarily looking for the best electronic cigarette to help them give up smoking. If you are reading this Aspire K4 starter kit review because you are presently a smoker, but want to escape the clutches of the big tobacco companies and kick the habit for good, you may be better off choosing an alternative option. If you want to jump straight into a nicotine-free lifestyle, the eKAISER e-Cigarette could be a good option. It’s easy to use and looks and feels very similar to a normal cigarette. However, if you want to wean yourself away from nicotine more slowly, the Cigma Vape Slim is a much better option. It can take any juice you choose to put in it and, like the eKAISER, it’s nice and compact.